Award shows are for hair envy, no matter the event. 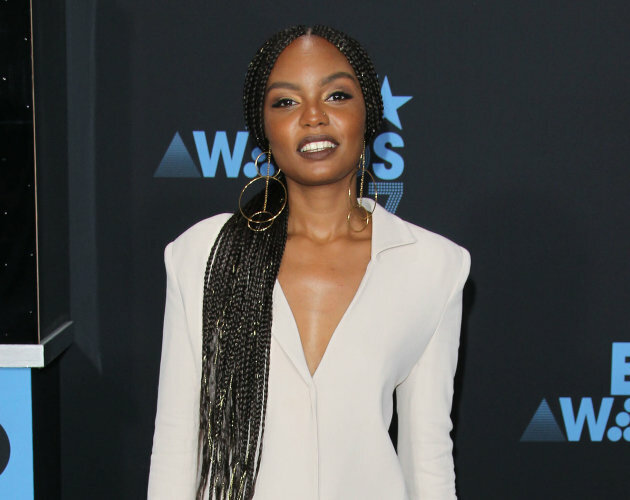 The BET Awards is one of the few occasions where you will see black women embracing their natural textures in all their unique glory. This year did not disappoint with TONS of amazing, intricate designs atop our favorite celebs heads. Here's just a few that gave us some serious hair inspiration. If you need me. I'll be on Issa Rae's Instagram all day, trying to find her stylist. 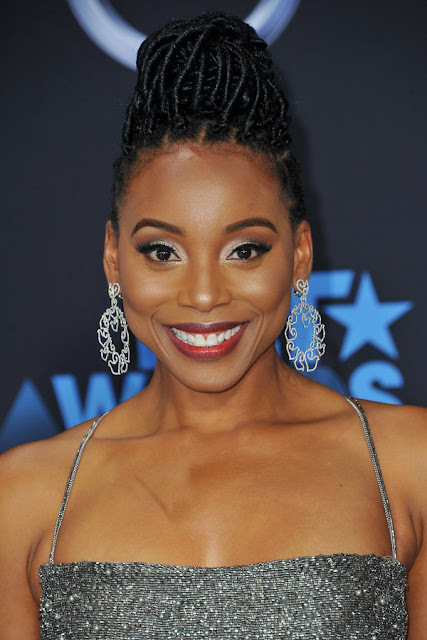 1)Erica Ash brought edgy class to her look with a beautiful loc'd updo. 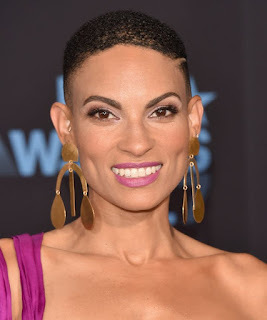 2) Goapele can rock a fade like no other. Add a clean part, and her slay is complete. 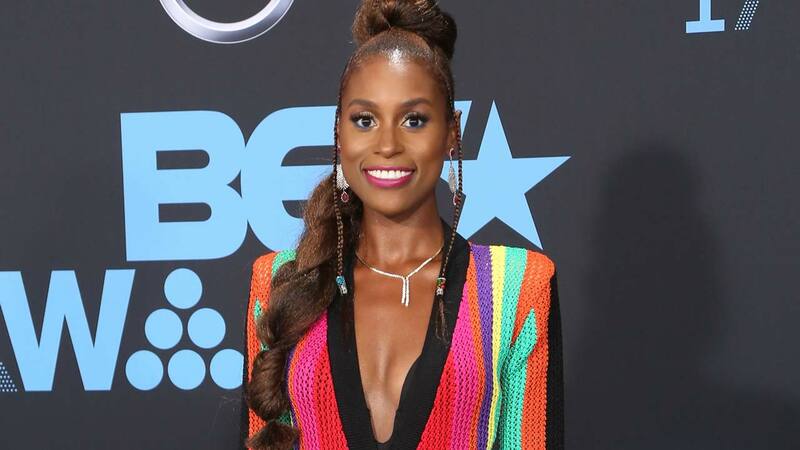 3) I don't know why the board didn't award Issa Rae's stylist. EVERY TIME, she looks goo. This time, a hybrid braided extension fell over the shoulder, with mini plaits to separate... this masterpiece is too beautiful to comprehend. 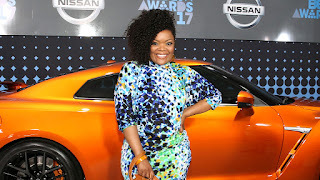 4)Nozamo Mbatha topped off her African Inspired look with a crown of an updo. 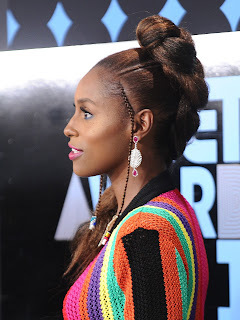 An intricate bun which incorporated a few twists and an accent addition completed her fit. 5) Justine Skye took her bold color of choice and owned it. Who says darker women can't rock bright colors? 6) Yvette Nicole Brown, I always recognize by her hair. Her coiffed curls were simple and swept to one side. I'm peeping this look for my next protective style. 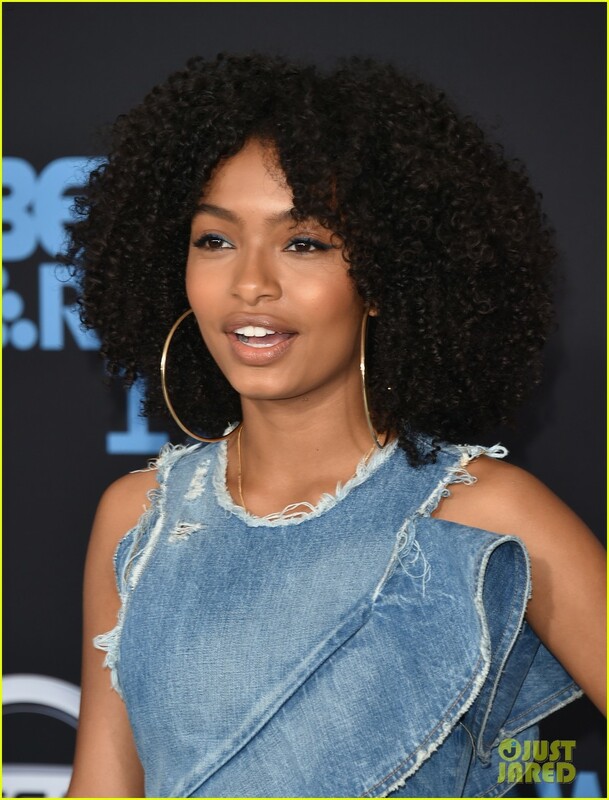 7) Logan Browning went baby-doll chic. A side part with a slick crown led to an almost unexpected explosion of curls right above the ear. It's almost reminiscent of the 1920's. We're here for it. 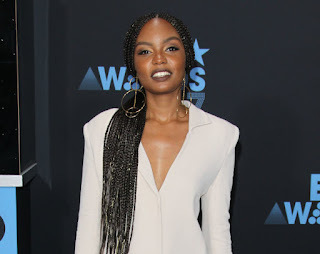 8) Sierra McClain isn't done with the Lemonade Braids. 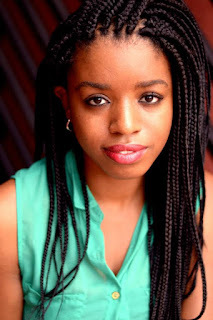 Her box braids fell to the side instead of straight back and were interlaced with blonde (or is that gold) highlights. The length only complimented her short business like attire. Issa look. 9) Yara Shahidi has naturally looser curls which she tamed perfectly for this night. She showcased her natural texture simply, effortlessly, by just letting her hair BE. 10) Pearl Thusi stunned with a larger than life fro low hanging afro, which 4C women can really appreciate. No perfect twist out, not a drop of Eco Styler in sight. Just a confident blow out full of volume and class. What was your favorite hairspiration from the BET Awards? Share in the comments!